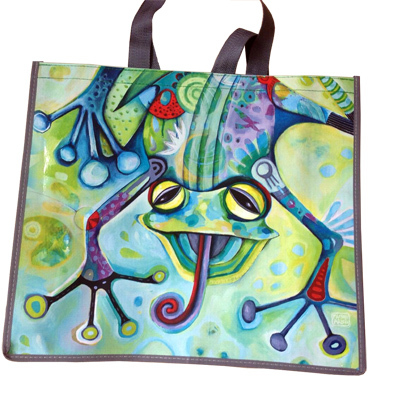 Michelle Allen Bags & Stuff : Frog Tote Bag - Flashy Bits - for flashing gifts and novelties and for fundraising and events. If you’re looking for things that twinkle or flash, glitter or glow, then Flashy Bits is for you. These gorgeous tote bags are decorated with superb Michelle Allen designs and are the perfect combination of great looking and usful, who could ask for more!